This change from one season to another greatly affects your home’s indoor air quality. When the weather is cool, people tend to spend much time at home, this means you need to be sure your indoor air quality is protected. How is Indoor Air Quality Affected in the Fall? Your home’s indoor air is a composite of many sources. The outdoor air that comes through your open windows, the dander from your pets, the air in your basement that flows through your furnace, the harsh chemicals you may use in your cleaning products, the mold spores existing in the crawlspace beneath your house, just to name a few. When the weather is not cold, the open windows allow fresh air in on a regular basis, detaching the stale air in your home, and your air conditioner keeps an eye on the monitoring of your home’s humidity. When people close their windows and turn the air conditioner off for the season, these good effects disappear until next year. Now the air that’s in your home simply circulates, and all those composites and particles in the home stay there. The humidity lowers, causing your body’s membranes and nasal passages to dry out, inviting harmful bacteria and viruses in. Drier air also is bad for allergy and asthma sufferers. This is all a recipe for health issues. Use a humidifier. You should keep your home’s humidity levels between the Environmental Protection Agency (EPA) recommendation of 30 to 50 percent. Drier air causes nosebleeds, cracked skin, respiratory problems, sinus issues, static electricity, and many other negatives. The comfort in your home isn’t only determined by its inside temperature. Change your HVAC filters regularly, at least every three months. A good HEPA filter will catch the particles before they reach your lungs. There’s just so much floating in the air we even do not notice. So you have to change your filter. We at Jupiter Air Conditioning and Heating suggest changing it once a month if some of your family members suffers from allergies or asthma. If you change your filters regularly , it will help to increase your HVAC system’s lifespan by preventing those particles from running through the system. Clean regularly. Many health challenges are caused by dust, dirt, pests, bacteria, viruses, and mold. In order to prevent this, you should clean your house regularly, especially do vacuuming and dusting,. Also, when cleaning, switching to more natural cleaning products using essential oils instead of harsh chemicals can make a substantial difference in your home’s IAQ. Have your furnace cleaned and checked before turning it on. You should be convinced to schedule your annual heating system’s maintenance appointment before using your heat for the first time. If you do a proper cleaning and tuneup you will manage to make your system run properly, helping to improve the IAQ and increase your system’s lifespan. Open your windows daily. Even if it is very cold out, you should open a window in every room for at least a few minutes to let fresh air in. It helps to keep bacteria and viruses away. There are so many things to enjoy about fall. Be sure your home’s Indoor Air Quality is protected to keep you healthy and comfortable, so you’re able to enjoy fall’s pickings. 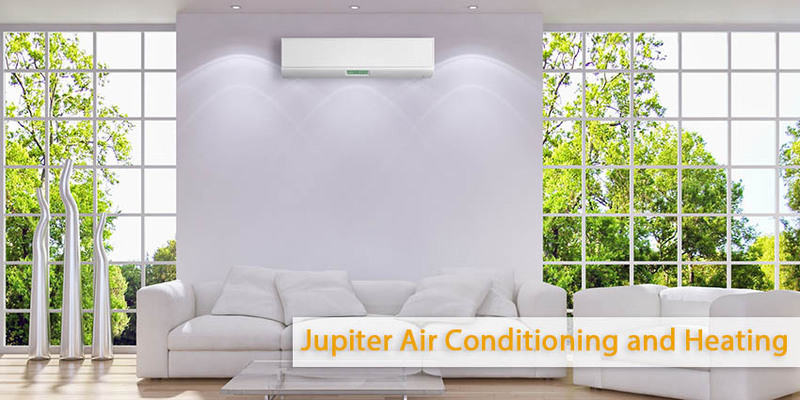 Call Jupiter Air Conditioning & Heating at (800) 407-1727 to discuss how we can help you improve your home’s indoor air quality.